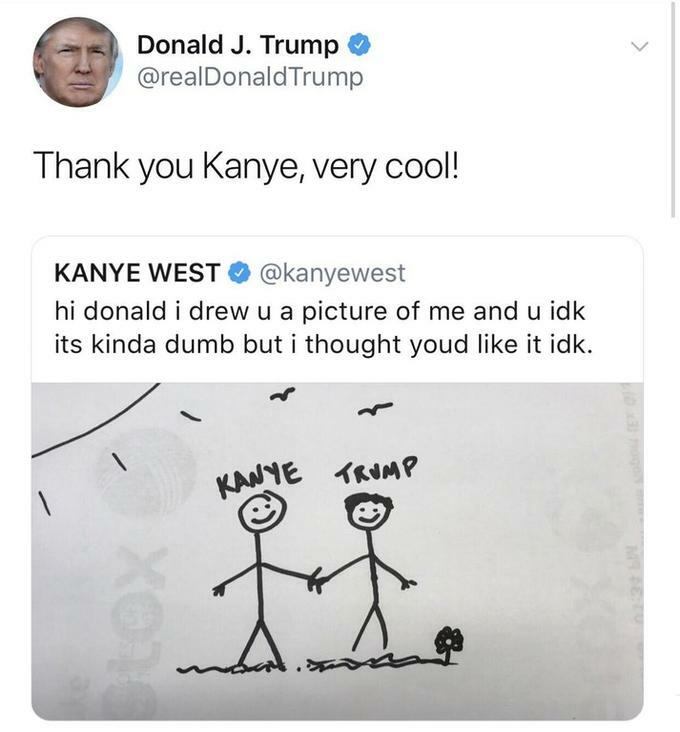 Thank you Koen27, very cool! Where are you taking the territory names from? I've never seen such a detailed map of Lindon! If you have enough material of the same level of detail for all Middle Earth this is going to be a great map! I finished Arthedain and Cardolan. Arnor is almost complete. I will add Rhudaur soon. Arnor is finished. The Kingdom of Angmar, and Eregion (Hollin) are next. 1) I think you've swapped the Barrow Downs and Chetwood. You should rename them - the Barrow Downs were to the south of Bree and Chetwood to the north, not vice versa. + maybe "Rivendell Woods" and "Rivendell Mountains" should be switched too. The territory now called "Woods" borders the Misty Mountains directly and looks like their continuation, while the "Mountains" territory doesn't even border the Misty Mountains. 2) I hope those bonus links in the north-western corner of the map will later be placed near the corresponding cities. Too many maps have been ruined because of the wrong bonus link placement. A player should be able to understand the map easily. 3) I'm not discussing the bonus values right now - they're clearly alpha version and they are probably not the priority now. But I think you should avoid making too big bonuses (I'm not talking about superbonuses, I'm talking about the low-level bonuses). I'm looking at Minhiriath (30 territories), but there are also lots of bonuses with 16 territories or something like that. So far the map's looking great, Koen! I really hope you'll finish this project! In the Shire, so-called "Longbottom" could be renamed into the "Marish". Longbottom should be moved somewhere further to the south. Plus I'd rename the "Farthings" into something else and use the Farthing names for bonuses instead. Currently the Shire has 18 territories - it could well be split. Plus the south Farthing on your map currently lies in the northern half or at least in the center of the Shire, which makes no sense. P.P.S. I really do not understand where you find all the maps. No map that I've found contains all that detail you have. 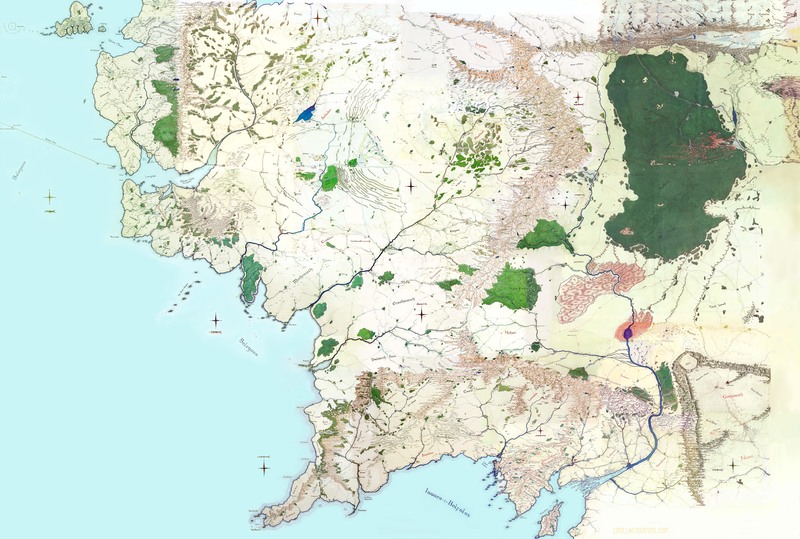 Sadly, detailed maps of Middle Earth are fan-made. I'm not trying to say Koen shouldn't use them - if you want a detailed ME map you'll have to use some (/a lot) of creative license by necessity. Since almost everything is fanmade I don’t think many people will care what maps I used and didn’t use. But if you have a none-fanmade map or tell me where I can find one would be nice. - Chetwood is east of Bree but as you said Barrow Downs is south of Bree. Swapping them would misplace Chetwood in my opnion. But I know what you mean and I’ll see what I can do about it. - I will change the name of Rivendell mountains to Rivendell springs. Rivendell woods will remain the same. - I fully agree with the other comments and will edit the things you said. Something went wrong. But luckily I had a backup so I'm using that one now. The name of the mountain near Moria - it's CaRadras, not CaLadras. Are you sure you want to make Minas Tirith that big? You're doing great progress, Koen! This is going to be a great map! I was just experimenting with Minas Tirith and trying to get the best look and the most practical layout. It also has to work with the battle of the pellenor fields so Im most certainly making it smaller. Thanks for the caradras name correction. jo koen minas thirith ziet er goed uit, alleen het is best groot op jou map. Misschien kan je het iets de bergketen in verschuiven, zodat er ruimte komt voor de pellenor fields? Ook zou ik de circel van minas morgul (ungol) verder naar achter schuiven, en een zodat er ruimte onstaat voor minas ithil. een man die te lui was om op dashboard te drukken om een bericht via daleros achter te laten. I have Many issues with keeping the map size under the 2 MB limit. So if the map looks a bit weird it is because I constantly have to remove things (not only the map I use in the background but also larger paths), then save the svg, and then undo the whole thing again. Why is the limit 2 MB so low actually? It is very annoying. Do you make the territory borders using the pencil tool? They look great, but don't they make the file size gigantic? P.S. Just read the last edition of your previous post. The pencil tool creates too complex lines - that could be one reason for the big file size, but don't despair too early. There are several ways to make the file lighter. 1) If you save your file as a "simple SVG" not "Inkscape SVG" it becomes lighter, but loses some features (layers and groups), so do not save your main file that way without leaving a backup. 2) You won't believe how much file size does the text take. You've got only "Bilbo" and "Frodo", but try to delete those words and check the file size again. 3) Maybe you shouldn't try to make the pretty mountains like you tried to do in the northwestern part of the map (Ered Luin), near the Shire and near Osgiliath. There is also Kurgan not far from the sea of Nurnen - that is the name of a Russian city :D Still it could be appropriate, for this name sounds quite dark: its name means "barrow". Gallien, these are some great tips. Many thanks for sending in the names that I should not use. I'll try to delete the text and mountains and maybe add them when the map is finished. I will continue with Gondor this evening. I am not sure if I should change the Nimrais bonus in the north of Gondor to Ered Nimrais. Any advice about this is very welcome. And if anyone has found a good detailed map of Rhun or the Brown Lands or Wilderlands (basically the lands east of Mirkwood) that would be very helpful. "Ered Nimrais" means "White Mountains". "Nimrais" is "White". So the name change makes sense. I doubt that there are detailed maps of Rhun or Brown lands. It is a good time to start thinking about the eastern border of the map. The map doesn't have to be rectangular - you can cut off unneeded corners. Maybe there shouldn't be anything beyond the sea of Rhun. Also consider changing the scale of your map - if you cut off Umbar and the eastern wastes, you could make the rest of your map a little bit bigger. Of course, Umbar is good... Or maybe you could turn your map a little bit counterclockwise? Now a few points on bonuses. 1) The "town" bonuses are all grouped in the northwestern corner of the map, and it is very hard to find the one you need. Place them near the corresponding towns instead. 2) It seems you don't have a set formula (a certain number of territories gives a certain number of armies) - this type of formula really helps a lot. For example, in the northwest, we have "North Ered Luin" = 14 territories that give 12 armies per turn, and right next to it we have "Forast" = 16 territories that give 8 armies per turn. (I'm not counting the "town" bonuses) In my latest maps I used the formula I found in Limalia's Gargantuan Westeros map. But your average bonus consists of many more territories, so maybe you should look for a different map to follow in this matter. 3) Superbonuses should be nerfed a lot. They should not give more armies than 1/3 of the number of territories they have. Especially considering that you have 2 levels of superbonuses, or sometimes even 3 levels! e.g. Arnor-Cardolan-Minhiriath-WestMinhiriath and Arnor-Arthedain-Shire-WestFarthing in the north. Maybe just exclude the Shire and Minhiriath from Arthedain and Cardolan respectively and then we're back to 2 levels of superbonuses everywhere? I've noticed that you tend to make the upper-level superbonuses tremendously large, while the lower superbonuses are often barely noticeable. This turns the game into a race - who gets the first high-tier superbonus wins. e.g. Arnor has around 180 lands and give 90 armies (1/2 - way too large proportion for a megabonus, even too large for a low-tier superbonus IMHO). Inside Arnor we have Arthedain that has around 75 territories and gives 15 armies (1/5 - suddenly we've got a much smaller proportion for a much lesser bonus here, even though lesser bonuses should generally have bigger income proportions). P.S. You should really start placing the bonuslinks above the corresponding bonuses. It makes the SVG image look much worse, but it makes the map much better. You can arrange the links of the superbonuses in that cool way you invented, though. (With the angles touching each other.) Just like you've done with Arnor. But not the links of simple bonuses, like EastEmnet in Rohan or Lebennin in Gondor. - Or maybe you could turn your map a little bit counterclockwise? Not sure what you mean with this but the other things you say about removing everything east of the Sea of Rhun is not such a good idea in my opinion. I will keep the map with normal corners, as well as Umbar. - Place town bonuses near the corresponding towns instead. I have already done a few and will do the other bonuses in the near future. -It seems you don't have a set formula. I do most small bonuses 1/2, and I changed the bigger ones to either 1/3 or 1/4. But sometimes I add 1 or 2 extra armies to them because I want to make the map also realistic for role-play. If Isengard (With just 5 territories) gets a bonus of 3 there is no possibility of it being capable of attacking Rohan. Another example is Enedwaith. It is just a big waste with literally nothing in it. So I made it worth a bit less than usual. - Superbonuses should be nerfed a lot. This is a very useful tip and I just changed it from 1/2 to 1/3 of the territories in the superbonus. - You should really start placing the bonuslinks above the corresponding bonuses. It makes the SVG image look much worse, but it makes the map much better. You are right about this and I just placed all the bonuses sort of inside the corresponding bonuses. I only don't really know what to do with the Enedwaith/Dunland bonuses. I am having many issues with the size of the SVG file. Even when I delete the background map, the outline of the land, the paths on the map that are not territories, and even some circles, I still don't know how to make the size of the map smaller. If you save your file as a "Simple SVG" not "Inkscape SVG" it becomes lighter, but loses some features (layers and groups), so do not save your main file that way without leaving a backup. What exactly do you mean with a 'Simple SVG"? If you mean a "Plain SVG" I tried it but it had no effect at all. Any ideas on how to reduce the size of the file would be welcome. The only idea is to simplify the ships. They look cool, but I'd prefer a map without them rather to having no map at all. Plus you have a dotted line in the sea of Nurnen in Mordor - dotted lines eat up a lot of memory space. P.S. I found a lot more dotted lines - in Belfalas, not far from Erech, near Helm's Deep, near Isenguard, and 2 more in the northwest - near mount Dolmed and in the Shire. P.P.S. And there's a suspicious red dot above Angmar. The territories of the map are all done, but I still have no idea why the file is so huge. As a Plain SVG it is 2.9 MB. Edit: I tried some things and if I also delete the background for the mountains the size becomes 2.5 but I can't get it lower than that. Anyone have any ideas left?